One hard and fast rule around Saving Country Music is that I don’t review EP’s except for in “extreme cases.” There’s just too much music out there these days to consider half efforts, and in many cases, this is what EP’s are. I know they’re the hip thing, and a quicker way to get singles to fans in the digital age. But there’s something sacred about the album concept that I’m unwilling to let go of. So what is an “extreme case?” Well in 5 or so years, not once have I had an EP cross my desk that I felt qualified. Until now. One of the few times an EP is permissible is when it is the first release from a young, burgeoning artist that has a real serious shot of making music a career. Justin Townes Earle’s Yuma or Samantha Crain’s The Confiscation are good examples. 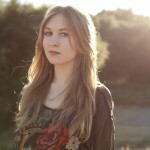 Paige Anderson and her EP Wild Rabbit is another. Paige Anderson is only 18, but she has some serious skins on the wall as a performing musician already. As a flat picking prodigy and the front person for her family band Anderson Family Bluegrass, she has performed on the California bluegrass festival circuit for going on 8 years. Anderson Family Bluegrass has played at the Hardly Strictly Bluegrass Festival, and toured on Chuck Ragan’s Revival Tour along such artists as Austin Lucas and Possessed by Paul James. Chuck Ragan has been so impressed with Paige, he wrote the quote above, and lends his voice to Wild Rabbit in the duet “Ballad of the Red River”. 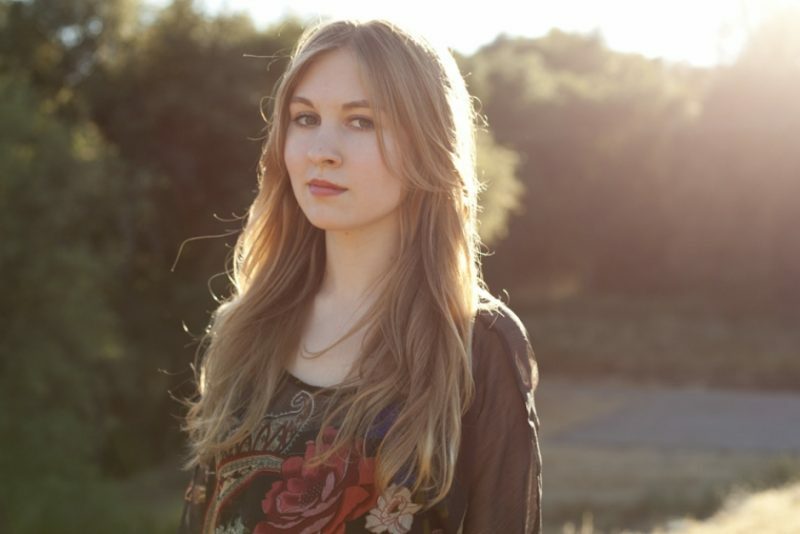 Paige Anderson is no random pretty-faced guitar player plucked out of thin air, she is a seasoned, flat-picking maestro that is making the transition from child prodigy to top-flight performer and songwriter. Paige Anderson is in the most critical time for a “prodigy” musician turned original performer. So often this is the juncture when a whiz kid who is wonderful at memorizing music is exposed. Naturally we all give adolescent performers a greater benefit of the doubt. But when they’re old enough to vote, the cold reality of the judgmental music world scowls down upon them and pulls no punches. The leap from performing covers and traditionals to penning your own music is treacherous to say the least. Paige Anderson’s Wild Rabbit is not perfect, but I am delighted to report that she strides over one of the most difficult hurdles in a music career and sticks the landing. This EP displays an uncanny adeptness of songwriting and arrangement beyond the formative age of the players, and conveys hope by forming a nexus between youthful appeal and artistic value. Its foundation is bluegrass, but Paige Anderson’s wise compositions draw influences from folk, country, indie rock, and roots music in an amalgam that is fiercely original. She is backed by The Fearless Kin consisting of her sister Aimee on fiddle and brother Ethan on mandolin, with mother Christy Anderson on bass. When the three Anderson siblings combine on harmonies, hearts stop. 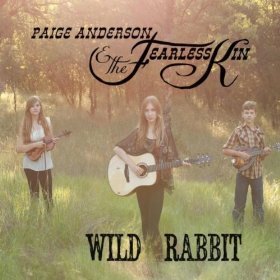 Wild Rabbit is a remarkable collection of songs that illustrate all of Paige Anderson’s singular talents, including her solitary prowess as a female flatpicking guitar player; an attribute that has landed her numerous features in Flatpicking Guitar magazine and other periodicals. But her voice is what threatens to steal the spotlight, with its inherent conveyance of pain in a tone that is both youthful and old, wildly unique and undeniably accessible. This may be the first you’re hearing about Paige Anderson & The Fearless Kin. Trust me, it won’t be the last. Wow, those two videos are beautiful! That is some real musical talent there! Paige Anderson, as well as the rest of the band, have a truly bright future. Wow, very good and talented at such young ages. So encouraging to see young kids being brought along to play instruments and really embrace their craft. Need more of this to bring country music back around and stomp out Pop country hopefully forever! Not sure you can fill the site with only the good stuff all the time Trigg, but it would be great to not hear “anything” about T Swift(hate even bringing her up) and the LONG list of other crap out there. Anyway, keep up the good work & bringing us the Good Stuff. How great is that right there? Great Sound, especially in the second song.